Garlic is an interesting food plant that has developed over a very long time with human intervention in selecting and growing varieties. It has a deep human history being used both just as a food and also for medicinal purposes. It’s exact point of origin is debated but generally it has been shown to have originated from the mountainous regions in an arc across Central Asia and Europe from Northern China through to the Black sea region. Garlic is fairly easy to grow but generally does best in a cooler climate with a warm and dry summer. The main growing period is from planting in early autumn till harvest in early summer. In it’s original habitat it starts to grow in late winter and early spring with the snow melt and then creates a bulb and dies back to survive the harsh dry summers. Usually it needs around two weeks below 10c in winter to ‘vernalise’ and trigger the new growth and flowering processes. The Blue Mountains in NSW is an ideal mild or cool temperate environment to grow garlic. It gets cold and wet enough during autumn, winter and spring to promote growth and also the required flowering triggers, and then it gets warm enough to promote the final bulbing process as the environment dries out into summer. The bulbing process is when the main single large growth at the base of the leaves starts to separate the leaf bases into individual cloves and matures for hibernation under ground until the next autumn. Garlic also tends to adjust to the local climate over a few years and so it is good practice to grow your own and then save some for growing the following year. What starts out as a fairly ordinary garlic variety will often acclimatise over a few years and become an excellent one in flavour, quality, size and ease of growing. It generally does not produce viable seed and has to be reproduced by replanting the individual cloves each year. In fact many garlic varieties rarely even send up a flower spike. When planting out the heads need to be separated into individual cloves which are planted with some space between them to allow for them to expand in size. If you leave a garlic bulb or head in the ground for the following season generally they will get smaller each year due to lack of space. The cloves are usually best planted before they start to sprout. However if carefully planted out these will grow OK. When you break the garlic heads apart be careful not to damage the thin base layer where it is attached to the base plate of the head as this is where the roots emerge and grow from. You can plant the cloves as shallow or deep as you like as they are fairly adaptable – however a general guide would be about 2-3 cm below ground level. The first garlic clove leaf is designed to penetrate the soil above and any mulch that is in the way. So if you put a heavy mulch layer on top you can plant them closer to the surface. Garlic also has a curious protective root system that gradually pulls the bulb lower into the ground every year – unlike onions and Alliums in general that usually push the bulbs upwards. The roots are fairly thick and are generally up to about 40cm long and grow in a fan shape down in to the ground from the main bulb. You can plant them up to about 10-15cm apart and still get a good sized head forming at the end of the season – however up to about 20-30cm apart is ideal for weeding and allowing the bulbs to form at maximum size. They do not like competition while growing and it is best to keep them weeded and without other plants growing too close to them. You can help by placing a significant layer of loose mulch over and around them. Lucerne, straw or sugar cane mulch is good for this. They like to grow in full sun with a good deep well prepared soil – but they will still also survive quite well in fairly average conditions due to their harsh environmental origins. They also grow quite well in containers if they have good soil, enough space and a deep enough container. They do not need to be heavily fed with fertilisers but they do appreciate a well prepared soil, regular watering and a regular liquid feed such as seaweed solutions. Planting time in the Blue Mountains is usually at the beginning of autumn around Mid February and March when we traditionally get the first rain after Summer. The longer they grow in the ground the bigger and better the plants – so an early start before winter is good for them. There are a few commonly accepted groups or varieties within the garlic species and they are often hard to define or categorise without looking at in a lot of detail as they grow. They can have variations based upon the way the heads, cloves, flower stems (scapes), bulbils ( like mini bulbs on the flower stalks) and foliage are shaped and also the colours of the foliage, cloves and outer skins and bulbils. The range in taste and keeping quality is quite significant between the varieties. It is worth trying a number of different types before settling on the ones you want to grow. Varieties can all have quite different growing patterns – some grow and mature very quickly while some take a very long time. There are two main common groups referred to – soft neck and hardneck. These are very general descriptions as there are many variations that break this basic rule and even local environments can make garlics grow quite differently after a time. Hardnecks are the garlic varieties that commonly send up flower stems. They are called hardnecks because when matured and dried the flower stems dry off like stiff sticks and are inflexible. They are very difficult to plait like this. But these varieties tend to be considered to have the best or most complex flavours. Soft necks are those that rarely if ever send up flower stems. They are called soft necks beacause the tops when dried are flexible without hard flower stems in them. These are the garlics that are most commonly used for plaiting. 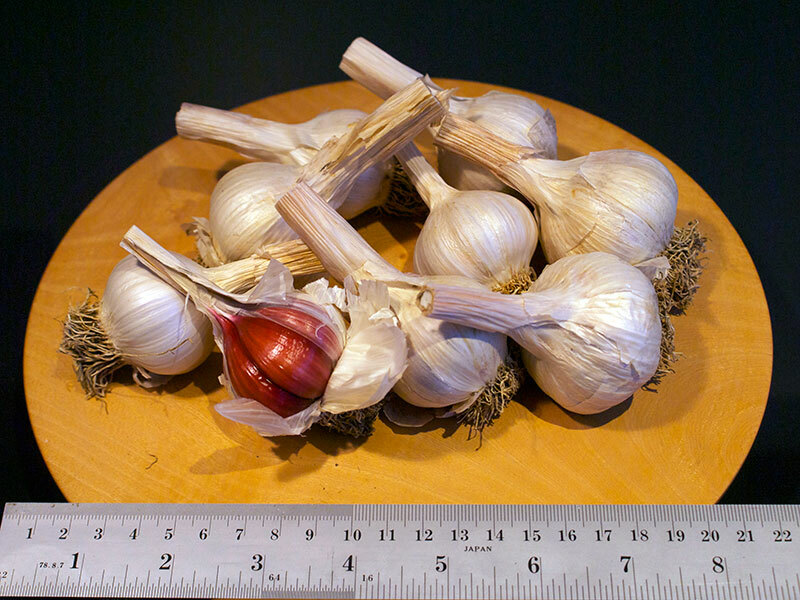 They are the most commonly grown garlics in the world. 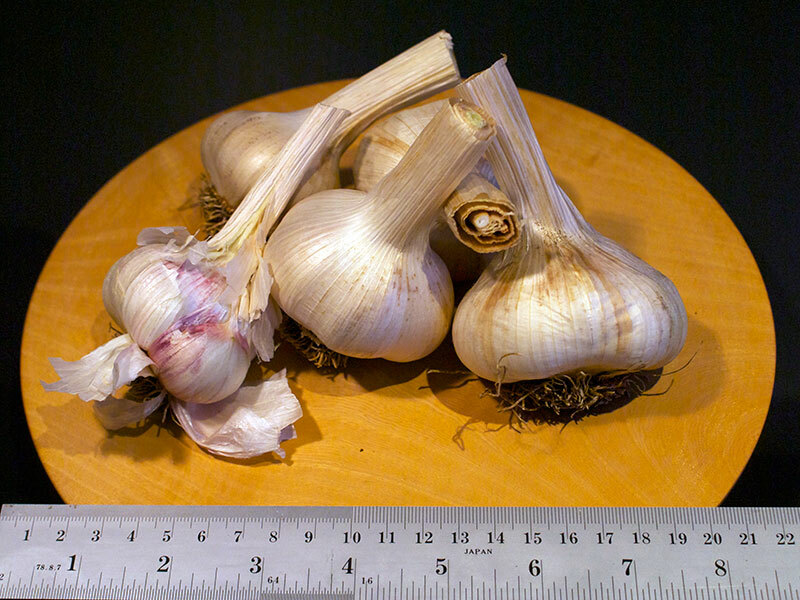 There is another commonly grown plant that is sold called Elephant or Giant garlic. this is in fact a leek that has a bulb that looks and tastes a bit like garlic but is very mild and a bit ‘mushroomy in taste in comparison to the usual garlic. Many people like to grow and eat this because it is mild and also has very large cloves. 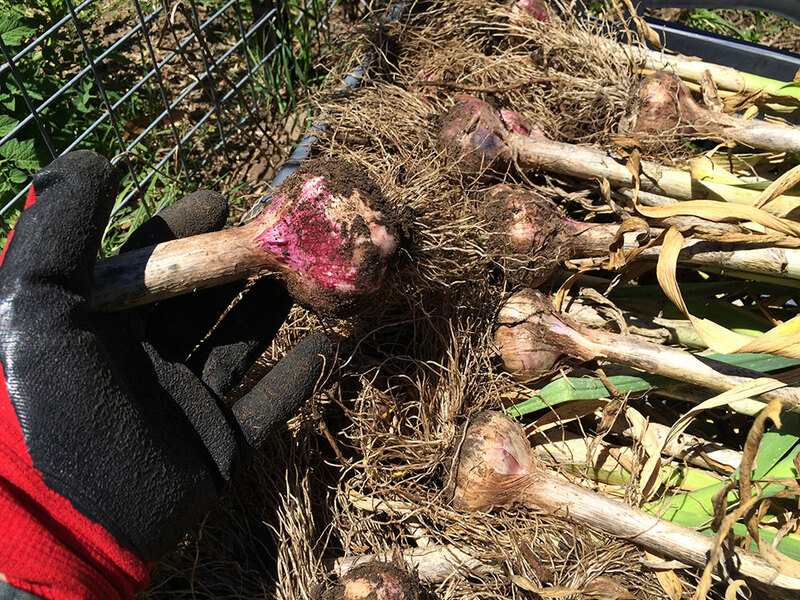 Harvesting Garlic in the Blue Mountains usually occurs from late October through till the end of January depending on which variety you are growing and the vagaries of the weather that year. Garlic is best harvested when you can move some surface soil back from the plant and you can see small ridges and feel the individual cloves forming at the base. The leaves should also start to dry out at the tips – usually when the first two or three outer leaves start to dry off. Be careful handling them at this stage as they can easily bruise inside the bulbs and you will not see the damage till later when they have dried out. Even dropping them on the ground from waist height can sometimes bruise them. The next step is the drying and maturing or ‘curing’ of the garlic. Garlic needs at least a few weeks for the bulbs to mature and fully complete the process of forming the individual cloves and drying off the skins. You need to hang up or lay out the garlic in a dry area out of direct sunlight preferably with plenty of air movement. They will tend to give off a fairly strong odour as they cure and dry so it is recommended that you don’t do this inside your house if you are drying a lot of it. People often tie them up with string and hang them under their roof or garage. When they have dried enough to manipulate the stems you can plait them ad continue to hang them to further mature. Many varieties taste better when left for longer. Some varieties such as creoles generally take 8 weeks or longer to cure. They will often taste bland or unpleasant when not cured fully. They will also last longer in storage if fully and properly dried out and cured. 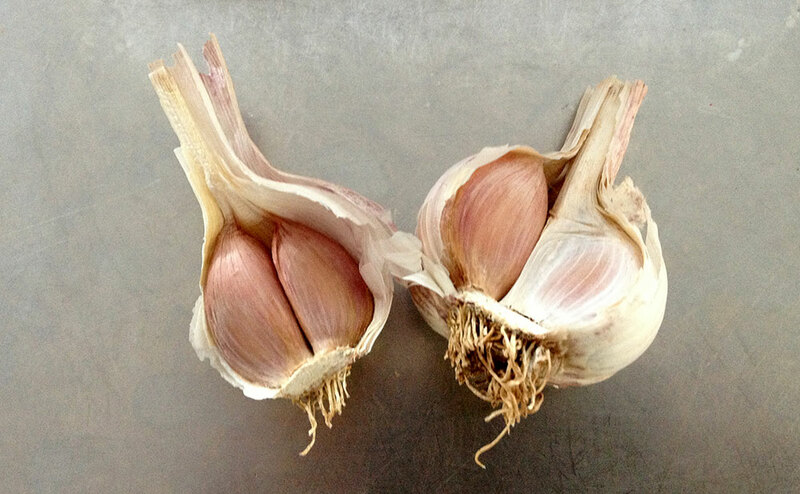 Whether you cut the stems off at this stage is a hotly debated topic in garlic circles – it is probably better to leave most of it on and just trim the tops of the leaves off and then trim the down to about 1-2 cm above the bulb when fully dried out. Some say that the drying and curing process involves the withdrawl of nutrition form the green stems to help complete the forming of the cloves. Likewise the roots can be trimmed at any stage but usually easiest to leave till you trim the tops. Generally garlic varieties will taste better at different stages of curing. Varities such as Rocambole taste the best early while varieties such as Purple Stripe and Creole taste better when they have been left to cure for much longer. By growing several varieties you can then have a good tasting garlic for a longer period of the year. 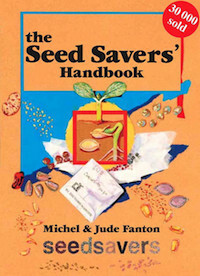 There is virtually no viable seed available for garlic – so the main propagation method (for 99.9%) is planting cloves. The Bulbils that grow with the little flowers on the flower stems can be planted. They are essentially mini bulbs and not seed. 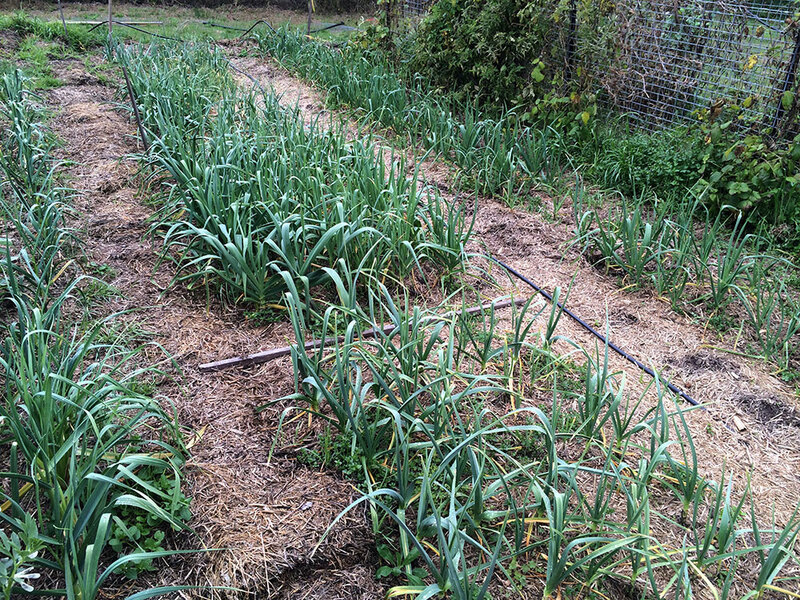 They will generally take two seasons to grow full sized garlic. Each year you need to keep about 15-20% of your bulbs for replanting. Each bulb will usually have from 4-12 cloves in a head so you need to keep enough cloves to match your planting numbers. This will depend on each years harvest and which variety you are growing. All sized cloves will grow and usually produce normal sized heads but the larger ones will obviously get them off to a better start when planted. if you are growing in less than ideal conditions planting the larger ones will likely give you the best results. 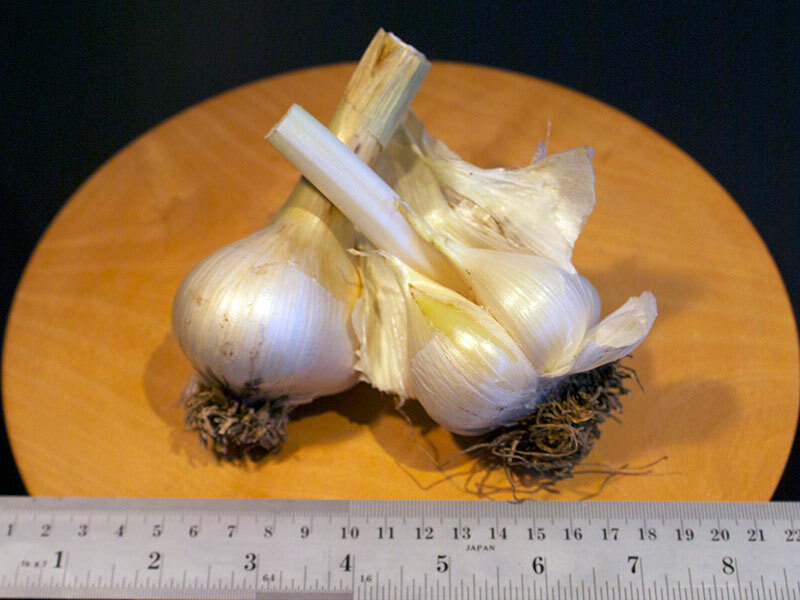 It is important to note that garlic like many other alliums are prone to some fairly bad virus infections and it is important to NOT try and directly import or bring in garlic from overseas without the proper careful quarantine procedures. I did enjoy this article. The purple stripe and rocambole types seem to suit my area and garden and both taste great. I am trying to find out the name of my garlic , it has a large head concsisting of 6 to8 bulbs ranging in length from 2 to 3 centimeters on the outside of every head of garlic there is attached to the outer up to 4 to 6 minature bulbs max. length 1cms. When they are left in the ground they will grew next season but only as a single bulb. I obtained these plants in a exchange for other produce literally over the back fence Vic called them Russian garlic but not sure if this is correct. Am interested if you help solve the mystery. 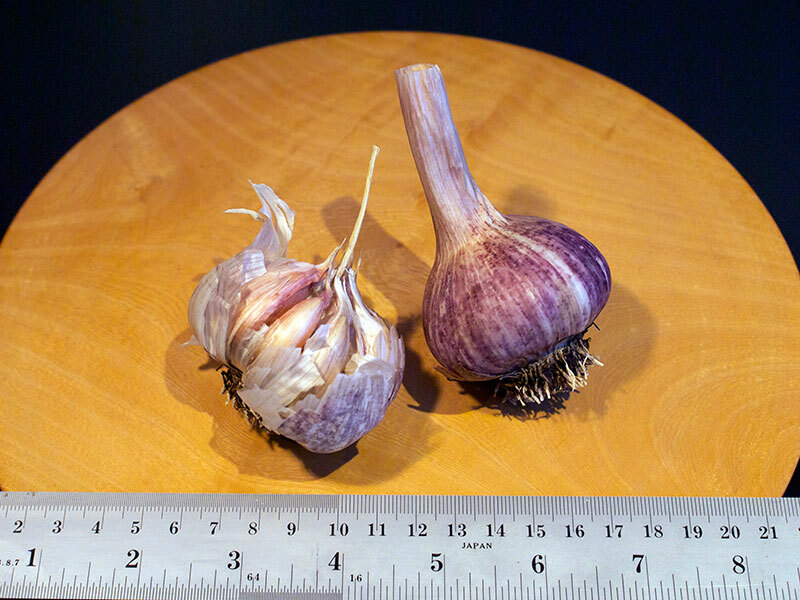 Hi – the miniature bulbs that you describe around the base of the larger ones are actually little corms which indicate that it is actually what is commonly called ‘Russian Garlic’, ‘Elephant garlic’ or basically “Allium ampeloprasum var. ampeloprasum”. It is not really ‘officially’ in the botanical sense a garlic but a variety or cultivar of Wild Leek which forms the large bulb-like root corms and also the small ones that are attached – the other two cultivars of the same species are Leek which do not form corms or bulb like structures and Kurrat or EgyptianLeek which looks like a leek with a single bulb like structure a bit like an elongated onion shape. This is a lot like the species of Silver Beet and Beetroot – Beta vulgaris’ which have been grown and selected for various traits over a very long time by humans to be quite different in form and use but are the same plant. They are quite mild and tend to have a more earthy or mushroomy flavour than garlics in the Allium sativum. They also produce lots of seed which is viable – unlike most garlics.You can collect the seed as well as all the small and large corms and grow them all on to plants. thank you for that information the mystery has been solved. Is there a place in the Blueis that grows wild garlic? Which form of ‘wild garlic’ are you after? There are numerous subgenus and species plants in the Allium group that are called ‘garlic’ and also ‘wild garlic’. Some are listed as declared plant pests in Australia as they can be very invasive and some cannot be imported or sold due to Quarantine restrictions. Do you mean Allium ursinum (ramsons, buckrams, wild garlic, broad-leaved garlic, wood garlic, bear leek, or bear’s garlic) or do you mean Allium vineale (crow garlic) or Allium oleraceum (field garlic) or Allium ramosum (fragrant garlic) or another one? All of them like Allium ursinum are not grown very commonly in Australia mainly because they tend to be either invasive or have never been very popular as a food plant here. They are usually all easier to grow from bulbils or clove divisions from existing adult plants rather than the seed as they generally need vernalising to get it to germinate and often the germination rate is very low. Seed is available from a few sources online within Australia and there are a few people who grow a variety of these plants in the Blue Mountains as it’s an ideal climate for them. Incidentally you need to be very careful to identify Allium ursinum correctly as it looks very much like the highly toxic ‘Lily of the Valley’. There is a long history of people misidentifying this and eating the wrong plant and dying.